The long-term costs of dealing with a back injury from a car accident can be high. Hospitalization, rehabilitation and lost income can become a major concern. A back injury from a car accident can have serious and long-lasting consequences. Unfortunately, one of the most common types of injuries a person suffers in an auto accident is a back injury. If you or a loved one have been the victim of a car accident and have suffered a back injury or are experiencing back pain as a result of the incident, contact The Hoffmann Law Firm, L.L.C. at (314) 361-4242. The bones in the back that form the spine are cushioned by small, sponge-like discs. When a disc becomes damaged, it can break open or bulge. 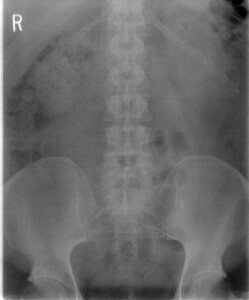 This is also often referred to as a slipped or ruptured disc. A herniated disc can occur anywhere in the spine. However, they are more common in the lower back. An injury to the spine can cause small tears or cracks in the hard outer layer of the disc. When this happens the soft gel inside the disc can leak out or bulge. Some common symptoms of a herniated or ruptured disc may include pain and numbness in the back, leg or buttock. The spinal cord consists of a lot of nerves that carry impulses to and from the brain and out to the rest of the body. A spinal cord injury (SCI) is an injury to the nerves themselves or to the bones and tissues surrounding them caused by trauma. Depending on where the injury is, the symptoms can vary from pain to paralysis. Complete and incomplete are the two kinds of spinal cord injuries. With a complete injury, all feeling and voluntary movement is lost below the injured area. With an incomplete injury, a person still has the ability to function below the injured area. The spine is made up of bones that are called vertebrae. When one of these vertebrae breaks and then collapses, this is known as a vertebral compression fracture. This type of back injury most commonly occurs in the middle portion of the spine. When this happens it can put pressure on the spinal cord. These types of injuries can cause severe pain and can result in chronic back pain. Sprains and strains have similar symptoms. Throughout your back is a series of ligaments and muscles. Their job is to hold the bones in your spinal column in place. A sprain occurs when a ligament is stretched or torn. A strain is a when a muscle or tendon is stretched or torn. Symptoms of a lower back strain are pain and stiffness in the back, buttock and legs. Millions of American’s suffer from chronic back pain. This is defined as pain in the back that lasts longer than six months. It can range in severity from inconvenient, mild pain to excruciating, debilitating pain. Chronic pain often begins with an initial injury, such as being involved in a car accident. However, being in an accident may make a preexisting problem even worse. Living with chronic back pain can cause other problems such as anxiety, fatigue, and stress. Therefore, chronic back pain may require continual medical treatment to manage. If you or a loved one have been involved in a car accident and it has resulted in back injury or back pain, contact The Hoffmann Law Firm, L.L.C. by calling (314) 361-4242 or by filling out ouronline contact form.